DDoS stands for Distributed Denial of Service. Simulating DDoS attack is regarded as a meticulous attempt for making a network or a server resource unavailable for target users by temporarily suspending or interrupting the services of a host interlinked to the internet. When it comes to Denial of Service attack, one computer as well as one internet connection is used for flooding targeted resources with packets. 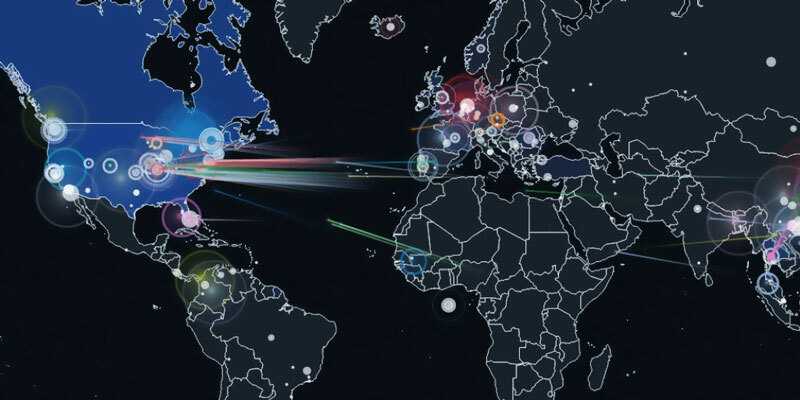 In case of DDoS attack, many computers and several internet connections have been used to disturb globally and is called a Botnet. Application Layer DDoS Attack: This kind of attacks is used to target Windows, Apache, OpenBSD and other software vulnerabilities for performing the attack and crashing the server. Protocol DDoS Attack: This is a DoS attack on the protocol level and it includes Ping of Death, Synflood and many more. Volume Based DDoS Attack: This attack includes UDP floods, ICMP floods and other types of floods performed through spoofed packets. This tool is one of the most popular DDoS attacking tools available on the internet. This free tool was used by a huge number of anonymous groups against the networks of big companies, apart from using the tool to attack; they have also invited internet users for joining the DDoS attack through IRC. This tool can be used quite easily and can perform an attack by sending TCP, HTTP and UDP requests to the server of the specific company. This attack tool has the ability of distinguishing itself from several other tools available today. While most of the other DDoS attack tools produce repeated patterns which can be easily alleviated, Hulk web server comes with a unique pattern which is generated at every request. It also has the efficiency of evading preventing system and intrusion detection whilst loading on the intended servers increasingly. RUDY or R U Dead Yet is another popular DDoS attack tool designed exclusively to perform the task in the user friendly manner. It comes with interactive menus that let the users to take advantage of this tool efficiently. This tool also provides the needed support for Socket Secure Internet Protocol Proxy as well as session persistence using cookies. This tool has been coded on the basis of .Net platform and feature SYN and UDP flooding which can disrupt any target. The interesting facts about this tool is that it has the ability of creating bots, stealing windows keys, using Zombie IP address and many more. This tool comes with the ability of updating the bots on botnet instantly. With the help of Silent DDoSer attack toolm you can transfer files from one PC to Another. Moreover, the attacker gains the ability of downloading or executing files to or from the victim’s host. These tools are explained here for educational purpose our intention is not to interfere with our internet world. DDoS attack is useful but not to harm anyone. It can be used against crime. So stay tuned for more updates on DDoS.